A few weeks ago, an interesting debate about digital games involving historical subjects took place during the ”History Talk in the Super 7000.” According to historian Angela Schwarz, the average German gamer is 40 years old and almost half of all gamers are female. Her colleague Marko Demantowsky quoted studies according to which almost eighty percent of young men are at risk of addiction or addicted to computer games. Is this a widespread social practice, a pathological case, or both? Behind this question lies the problem of ”historical desire”. The massive success of the historicizing computer game gives cause to reconsider this issue. 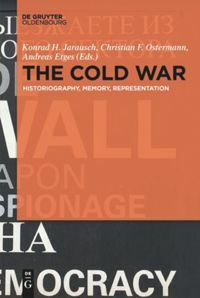 The historian Rolf Schörken, an expert in everyday history and its affective charges, pointed out the existence of a ”trivial historical consciousness” in the late 1970s. This consciousness, he added, was ”strongly occupied […] by a proliferating imagination and the most abstruse ideas, which are literally no longer subject to self-control” and stubbornly evade the scientific efforts for enlightenment and rationality. The plea of Volkhard Knigge, a specialist in history didactics, to open up the deep psychological dynamics of supposed triviality and to raise them to the surface of history classes aimed at understanding remained largely unheard. Shortly afterwards, Jeismann wrote that this desire was able to render young people ”senseless from within.” Although Jeismann conceded a decade later that an ”ever-present, albeit sometimes hidden ‘historical desire’” should not simply be rejected as ”irrational,” there remained considerable distrust of young people’s primary desire to deal with history. This too is computer game: virtual murder rate of 270,000, for 16,000 years. | © Ubisoft 2015. Emotions are now taken more seriously in history didactics. The fact that millions of historicizing computer games are sold and that a successful product such as ”Assassin’s Creed” has cost around 4 billion virtual opponents their lives, while its users have devoted a total of 16,000 years of theirs to the game, gives reason to suspect that this popular historical-cultural medium particularly addresses and economizes gamers’ historical desires. Just what exactly this desire is and how it is articulated, however, is still unclear. Extensive empirical surveys on the reception and impact of digital history games would be required to arrive at more precise definitions. However, some particularities of the medium provide hints that could be followed up in such studies. Computer games can be regarded as a chronotopos in the sense of literary scholar Michail Bachtin, in that space and time are partly paradoxically related: time is spatialized, space is temporized. The concept of ”chronoferences,” coined by historian Achim Landwehr as the way in which present and absent times (here: in virtual space) are interlinked, can also contribute to a deeper understanding of what fascinates contemporary historical culture about the staging of time and space in computer games. Game programming algorithms define the scope of gamer representation. Such avatars can, for example, as in ”Assassin’s Creed,” permanently change the course of history through decisive interventions — murder and manslaughter — and counterfactually prevent the posthumous from known undesirable developments. This semblance of agency stands in an indissoluble tension with programming. The supposed omnipotence of one’s own representation is nothing more than an arithmetical operation, but is probably perceived by gamers as acting in history, not in the game. The character moves through virtual spaces (from houses and battlefields to entire continents), some of which are staged with hyper-realistic means of representation. Despite this partly penetrating objectivism, the game constantly appeals to the historical imagination and opens up imaginary spaces that ensure the connection to gamers’ preconceptions and implicit theories. This probably enables Jeismann’s ”affective turn to history.” Well-functioning historical computer games are often able to keep gamers locked in a game for hours at a time. It is currently unclear how this well-documented immersion relates to everyday conceptions of history. In any case, computer games impose narrow limits on their users’ critical faculties. The historical events presented in a game and the amount of time spent playing follow a chronological order from the past to the future. On the other hand, the game erases time differences. Gamers should immerse themselves in a virtual world of the past without leaving the present. There are no significant differences between the past and the present. The gamer can travel through time, or a game’s particular construction allows the workings of the world’s spirit to flow into the present with teleological consistency. Anachronisms teeming with computer games additionally underline the impression of a ”broad present” of simultaneities. Game production reveals the unspoken notion, shared by many game developers, that history is a voluntaristic construction of the posthumous, despite the often conjured up factuality of the presented past events. In this respect, computer games are a medium of postmodern historical culture. The aim of the game is not to learn about or from history, but to reproduce stories in a virtual space of action and to reproduce historical interpretations. Space and time are interconnected by narratives, in which ”time is spatialized as meaning.” These are exemplary stories along the lines of the historia vitae magistra, whose political function has always been to claim timeless validity. Much can be said about the assumption that the sales success of historicizing computer games rests on a core message: that a confusing present can be clearly structured and (probably not only digitally) controlled and mastered within a virtually generated version of the past. Whether this is the case, and whether the message gets across, is an empirical question. Investigating the programmed scope of action, the ways in which games are staged, and the combination of both requirements in the gamer’s current ”game play” can contribute to answering this question. For it is an open question whether gamers understand the Eurocentric message, so dominant in computer games, that ”the West” always wins. Hitherto, moreover, we do not know whether and, if so, how the users of computer games only simulate a virtual presentation of the past or instead bring their own interpretations into the game. In this respect, despite the pathological dimension of their appeal to the desire for history, computer games are worth researching within the didactics of history. Chapman, Adam. Digital Games as History. How Videogames Represent the Past and Offer Access to Historical Practice. New York, London: Routledge, 2016. Sachs-Hombach, Klaus and Jan-N. Thon, ed. Games Studies. Aktuelle Ansätze der Computerspielforschung. Köln: Herbert von Halem, 2015. Schwarz, Angela, ed. Wollten Sie auch immer schon einmal pestverseuchte Kühe auf Ihre Gegner werfen? Eine fachwissenschaftliche Annäherung an Geschichte im Computerspiel. Berlin: Lit, 2012. Bundeszentrale für politische Bildung: Dossier Computerspiele. http://www.bpb.de/gesellschaft/digitales/computerspiele/ (last accessed 4 June 2018). gespielt. Arbeitskreis Geschichtswissenschaft und Digitale Spiele. https://gespielt.hypotheses.org/ (last accessed 4 June 2018). History Making on Playstation? Realität gespielt. Der Geschichtstalk im Super 7000, 12.3.2018, https://lisa.gerda-henkel-stiftung.de/gts7000_digitalespiele (last accessed 26 May 2018), 13:05-14:07, 23:30-24:05. The German Gesellschaft für Konsumforschung states the medium age in 2016 at 35 years, the percentage of women at 47 percent (cf. https://www.game.de/blog/2016/06/07/der-durchschnittliche-gamer-in-deutschland-ist-35-jahre-alt/). 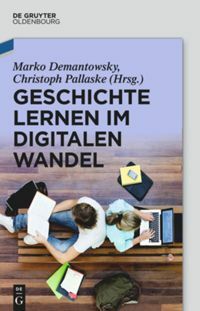 Demantowsky apparently referred to these both sources: a) Florian Rehbein, Matthias Kleimann, Thomas Mößle: Computerspielabhängigkeit im Kindes‐ und Jugendalter. Empirische Befunde zu Ursachen, Diagnostik und Komorbiditäten unter besonderer Berücksichtigung spielimmanenter Abhängigkeitsmerkmale. Hannover: Kriminologisches Forschungsinstitut Niedersachsen, 2009 (Forschungsbericht, 108). b) Drogen- und Suchtbericht of the German Federal Government (Drogenbeauftragte) from July 2017, in particular pp. 64-5 (graphics 19/20). Rolf Schörken, “Geschichte im Alltag. Über einige Funktionen des trivialen Geschichtsbewusstseins (1979),” in Demokratie lernen. Beiträge zur Politik- und Geschichtsdidaktik ed. Thomas Sandkühler (Köln: Böhlau-Verlag ), 301-321. Volkhard Knigge: ”Triviales” Geschichtsbewußtsein und verstehender Geschichtsunterricht (Pfaffenweiler: Centaurus, 1988). Karl-Ernst Jeismann, “”Geschichtsbewußtsein” als zentrale Kategorie der Geschichtsdidaktik,” in Geschichtsbewußtsein und historisch-politisches Lernen, ed. Gerhard Schneider et al. (Pfaffenweiler: Centaurus-Verlagsgesellschaft, 1988), 1-24, hier 12. Karl-Ernst Jeismann, “”Geschichtsbewußtsein” als zentrale Kategorie des Geschichtsunterrichts,” in Aktuelle Probleme der Geschichtsdidaktik, ed. Gerold Niemetz (Stuttgart: Metzler 1990), 44-75, here 55-56. Karl-Ernst Jeismann, “Geschichtsbewusstsein als zentrale Kategorie der Didaktik des Geschichtsunterrichts,” in Geschichte und Bildung. Beiträge zur Geschichtsdidaktik und zur Historischen Bildungsforschung, ed. Karl-Ernst Jeismann (Paderborn: Schöningh 2000), 46-72, here 68. 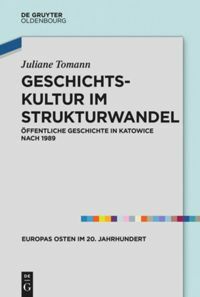 Juliane Brauer, Martin Lücke, ed., Emotionen, Geschichte und historisches Lernen. Geschichtsdidaktische und geschichtskulturelle Perspektiven (Göttingen: V&R Unipress 2013). http://de.ign.com/m/assassins-creed-unity/105463/news/assassins-creed-spieler-haben-mehr-als-16000-jahre-mit-unity (last accessed 25 May 2018). Michail M. Bachtin, “Formen der Zeit im Roman. Untersuchungen zur historischen Poetik,” in Untersuchungen zur Poetik und Theorie des Romans, ed. Edwald Kowalski, Michael Wegner (Berlin, Weimar: Aufbau 1986). Achim Landwehr, Die anwesende Abwesenheit der Vergangenheit. Essay zur Geschichtstheorie (Frankfurt am Main: Fischer 2016). https://www.youtube.com/watch?v=cc-ClutaN_I (letzter Zugriff am 21.5.2018). Angela Schwarz (Note 1), 48:30-48:50. Jörg Schweinitz, “Totale Immersion, Kino und die Utopien von der virtuellen Realität. Zur Geschichte und Theorie eines Mediengründungsmythos,” in Das Spiel mit dem Medium. Partizipation – Immersion – Interaktion, ed. Britta Neitzel, Rolf F. Nohr (Marburg: Schüren 2006), 136-153. Marko Demantowsky (Note 1), 49:50-49:58. Angela Schwarz, “Narration und Narrativ. Geschichte erzählen in Videospielen,” in Frühe Neuzeit im Videospiel. Geschichtswissenschaftliche Perspektiven, ed. Florian Kerschbaumer, Tobias Winnerling (Bielefeld: transcript 2014), 27-52, here 34. Hans Ulrich Gumbrecht, Unsere breite Gegenwart (Berlin: Suhrkamp 2010). Jörn Rüsen, “Historisches Erzählen,” in Handbuch der Geschichtsdidaktik, ed. Klaus Bergmann et al. (Seelz-Velber: Kallmeyer 1997), 57-63, hier 61. According to Schwarz (Note 18), S. 34, this form of “complexions for a trend toward time-transcending proceedings” can be found mostly in global strategy games and similar products. Cosplay at Long Beach Comic Expo 2014 © Tehsigo Eternamente, CC-BY-SA 2.0. Sandkühler, Thomas: In Search of the Digital Past: ”Historical Desire” revisited. In: Public History Weekly 6 (2018) 21, DOI: dx.doi.org/10.1515/phw-2018-12190. Copyright (c) 2018 by De Gruyter Oldenbourg and the author, all rights reserved. This work may be copied and redistributed for non-commercial, educational purposes, if permission is granted by the author and usage right holders. For permission please contact: elise.wintz (at) degruyter.com. Vor einigen Wochen fand beim ”Geschichtstalk im Super 7000” eine interessante Debatte über digitale Spiele mit historischen Sujets statt. Der deutsche Durchschnittsspieler/die Durchschnittsspielerin ist laut der Historikerin Angela Schwarz um vierzig Jahre alt und fast zur Hälfte weiblich. Ihr Kollege Marko Demantowsky zitierte Studien, nach denen fast achtzig Prozent männlicher Jugendlicher suchtgefährdet oder computerspielsüchtig seien. Breite gesellschaftliche Praxis, pathologischer Fall oder beides? Hinter dieser Frage verbirgt sich das Problem des ”Geschichtsbegehrens”. Der massenhafte Erfolg des historisierenden Computerspiels gibt Anlass, darüber neu nachzudenken. Der Historiker und Didaktiker Rolf Schörken, ein Kenner der Geschichte in der Alltagswelt und ihrer affektiven Ladungen, hat Ende der 1970er Jahre auf das Vorhandensein eines “trivialen Geschichtsbewusstseins” hingewiesen. Es sei “in starkem Maße von wuchernder Phantasie und den abstrusesten Vorstellungen besetzt […], die buchstäblich keinerlei Selbstkontrolle mehr unterliegen” und sich den wissenschaftlichen Bemühungen um Aufklärung und Rationalität hartnäckig entzögen. Das Plädoyer des Geschichtsdidaktikers Volkhard Knigge, die tiefenpsychologischen Wurzeln vermeintlicher Trivialität zu erschließen und an die Oberfläche eines verstehenden Geschichtsunterrichts zu heben, verhallte weitgehend ungehört. Es sei, schrieb Jeismann kurz darauf, in der Lage, Jugendliche ”von innen besinnungslos” zu machen. Zwar konzedierte Jeismann ein rundes Jahrzehnt später, ein ”stets vorhandenes, wenn auch bisweilen verstecktes ‚Geschichtsbegehren’” solle nicht einfach als ”irrational” zurückgewiesen werden. Aber es blieb ein beträchtliches Misstrauen gegen den primären Wunsch von Jugendlichen bestehen, sich mit Geschichte zu beschäftigen. Emotionen werden mittlerweile in der Geschichtsdidaktik ernster genommen. Die Tatsache, dass historisierende Computerspiele millionenfach verkauft werden und ein Erfolgsprodukt wie ”Assassin’s Creed” rund 4 Milliarden SpielgegnerInnen ihr virtuelles Leben, seine BenutzerInnen hingegen insgesamt 16.000 Jahre Lebenszeit gekostet hat, gibt Anlass zu der Vermutung, dass dieses geschichtskulturelle Populärmedium das geschichtliche Begehren von SpielerInnen in besonderem Maße anspricht und ökonomisiert. Was jedoch dieses Begehren ist und wie es sich artikuliert, ist nach wie vor ungeklärt. Es bedürfte umfangreicher empirischer Erhebungen über die Rezeption und Wirkung von digitalen Geschichtsspielen, um hier zu genaueren Bestimmungen zu gelangen. Einige Besonderheiten des Mediums geben jedoch Hinweise, die in solchen Studien weiterverfolgt werden könnten. Computerspiele können als Chronotopos im Sinne des Literaturwissenschaftlers Michail Bachtin betrachtet werden, in dem Raum und Zeit auf teils paradoxe Weise aufeinander bezogen, die Zeit verräumlicht, der Raum verzeitlicht wird. Auch der von dem Historiker Achim Landwehr geprägte Begriff der ”Chronoferenzen” als der Art und Weise, wie anwesende und abwesende Zeiten (hier: im virtuellen Raum) miteinander verknüpft werden, kann zu einem vertieften Verständnis dessen beitragen, was die gegenwärtige Geschichtskultur an den Zeit-Raum-Inszenierungen des Computerspiels fasziniert. Algorithmen der Spielprogrammierung definieren Handlungsspielräume der Spieler-Repräsentation. Solche Avatare können beispielsweise, wie in ”Assassin’s Creed”, den Lauf der Geschichte durch entschlossene Eingriffe – Mord und Totschlag – dauerhaft verändern und den Nachgeborenen bekannte Fehlentwicklungen kontrafaktisch verhindern. Diese Anmutung von Agency steht in einem unauflöslichen Spannungsverhältnis zur Programmierung. Die vermeintliche Allmacht der eigenen Stellvertretung ist nichts anderes als eine Rechenvorgabe, wird aber von SpielerInnen wohl als Agieren in der Geschichte, nicht im Spiel wahrgenommen. Die Spielfigur bewegt sich durch virtuelle Räume (von Häusern über Schlachtfelder bis hin zu ganzen Kontinenten), die teilweise mit hyperrealistischen Darstellungsmitteln inszeniert werden. Ungeachtet dieses teilweise penetranten Objektivismus appelliert das Spiel beständig an die historische Einbildungskraft und eröffnet einen Imaginationsraum, der die Anknüpfung an Präkonzepte und implizite Theorien der SpielerInnen gewährleistet. Dies ermöglicht wahrscheinlich die ”affektive Hinwendung zur Geschichte” im Sinne Jeismanns. Gut funktionierende historische Computerspiele sind in der Lage, SpielerInnen oft stundenlang in das Spielgeschehen hineinzuziehen. Im welchem Verhältnis diese vielfach dokumentierte Immersion zu alltäglichen Geschichtsvorstellungen steht, ist derzeit unklar. Jedenfalls erlegt das Computerspiel der Kritikfähigkeit seiner NutzerInnen enge Grenzen auf. Das im Spiel präsentierte historische Geschehen, die gespielte Zeit, folgt einer chronologischen Reihenfolge vom Früheren zum Späteren. Andererseits tilgt das Spiel Zeitdifferenzen. SpielerInnen sollen in eine virtuelle Welt der Vergangenheit eintauchen, ohne die Gegenwart zu verlassen. Denn zwischen Vergangenheit und Gegenwart bestehen keine wesentlichen Unterschiede. Die Spielfigur kann Zeitreisen unternehmen, oder die Konstruktion der Spielinszenierung lässt das Wirken des Weltgeistes mit teleologischer Folgerichtigkeit in die Gegenwart einmünden. Anachronismen, von denen Computerspiele wimmeln, unterstreichen zusätzlich den Eindruck einer ”breiten Gegenwart” von Gleichzeitigkeiten. In der Spielinszenierung tritt die unausgesprochene Vorstellung vieler SpieleentwicklerInnen zutage, Geschichte sei eine voluntaristische Konstruktion der Nachgeborenen, ungeachtet der vielfach beschworenen Faktizität des präsentierten vergangenen Geschehens. Das Computerspiel ist insofern ein Medium der postmodernen Geschichtskultur. Im Spiel soll nicht über oder aus Geschichte gelernt werden, sondern Geschichten sollen im virtuellen Handlungsraum nachvollzogen und historische Deutungen sollen reproduziert werden. Raum und Zeit werden durch Narrative miteinander verbunden, in denen ”Zeit […] als Sinn verräumlicht” wird. Es handelt sich um exemplarische Geschichten nach dem Muster der Historia vitae magistra, deren politische Funktion schon immer darin bestanden hat, dass sie überzeitliche Geltung beanspruchen konnten. Es spricht viel für die Annahme, dass sich der Verkaufserfolg der historisierenden Computerspiele dieser Botschaft verdankt, eine unübersichtliche Gegenwart könne mit virtuell generierten Nutzanwendungen aus der Vergangenheit übersichtlich strukturiert und (wohl nicht nur digital) beherrscht und bewältigt werden. Ob dies so ist und ob die Botschaft gewissermaßen ankommt, ist eine empirische Frage. Die Untersuchung von programmierten Handlungsspielräumen, Spielinszenierungen und der Verbindung beider Vorgaben im aktuellen ”Game Play” der SpielerInnen kann dazu beitragen, diese Frage zu beantworten. Denn es ist eine offene Frage, ob die im Computerspiel so dominante eurozentrische Botschaft, dass ”der Westen” immer siege, von SpielerInnen verstanden wird. Auch wissen wir bisher nicht, ob und gegebenenfalls wie die BenutzerInnen von Computerspielen wirklich nur eine virtuelle Vergangenheitspräsentation simulieren oder ihre eigenen Deutungen eigensinnig in das Spielen einbringen. Insofern sind Computerspiele trotz der pathologischen Dimension ihres Appells an das Geschichtsbegehren ein lohnendes Objekt geschichtsdidaktischer Forschung. Sachs-Hombach, Klaus und Jan-N. Thon, ed. Games Studies. Aktuelle Ansätze der Computerspielforschung. Köln: Herbert von Halem, 2015. Bundeszentrale für politische Bildung: Dossier Computerspiele. http://www.bpb.de/gesellschaft/digitales/computerspiele/ (letzter Zugriff 4. Juni 2018). gespielt. Arbeitskreis Geschichtswissenschaft und Digitale Spiele. https://gespielt.hypotheses.org/ (letzter Zugriff 4. Juni 2018). History Making on Playstation? Realität gespielt. Der Geschichtstalk im Super 7000, 12.3.2018, https://lisa.gerda-henkel-stiftung.de/gts7000_digitalespiele (letzter Zugriff am 26.5.2018), 13:05-14:07, 23:30-24:05. Die Gesellschaft für Konsumforschung gibt das Durchschnittsalter für 2016 mit 35 Jahren, den Frauenanteil mit 47 Prozent an (vgl. https://www.game.de/blog/2016/06/07/der-durchschnittliche-gamer-in-deutschland-ist-35-jahre-alt/). Demantowsky bezog sich offenbar auf diese beiden Quellen: a) Florian Rehbein, Matthias Kleimann, Thomas Mößle: Computerspielabhängigkeit im Kindes‐ und Jugendalter. Empirische Befunde zu Ursachen, Diagnostik und Komorbiditäten unter besonderer Berücksichtigung spielimmanenter Abhängigkeitsmerkmale. Hannover: Kriminologisches Forschungsinstitut Niedersachsen, 2009 (Forschungsbericht, 108). b) Drogen- und Suchtbericht der Bundesregierung (Drogenbeauftragte) v. Juli 2017, v.a. S. 64f. (Abb. 19/20). Volkhard Knigge: ”Triviales” Geschichtsbewußtsein und verstehender Geschichtsunterricht (Pfaffenweiler: Centaurus-Verlagsgesellschaft, 1988). Karl-Ernst Jeismann, “”Geschichtsbewußtsein” als zentrale Kategorie des Geschichtsunterrichts,” in Aktuelle Probleme der Geschichtsdidaktik, ed. Gerold Niemetz (Stuttgart: Metzler 1990), 44-75, hier 55 f.
 Karl-Ernst Jeismann, “Geschichtsbewusstsein als zentrale Kategorie der Didaktik des Geschichtsunterrichts,” in Geschichte und Bildung. Beiträge zur Geschichtsdidaktik und zur Historischen Bildungsforschung, ed. Karl-Ernst Jeismann (Paderborn: Schöningh 2000), 46-72, zit. S. 68.
 http://de.ign.com/m/assassins-creed-unity/105463/news/assassins-creed-spieler-haben-mehr-als-16000-jahre-mit-unity (letzter Zugriff am 25.5.2018). Angela Schwarz (Anm. 1), 48:30-48:50. Marko Demantowsky (Anm. 1), 49:50-49:58. Angela Schwarz, “Narration und Narrativ. Geschichte erzählen in Videospielen,” in Frühe Neuzeit im Videospiel. Geschichtswissenschaftliche Perspektiven, ed. Florian Kerschbaumer, Tobias Winnerling (Bielefeld: transcript 2014), 27-52, hier 34. Sandkühler, Thomas: Auf der Suche nach der digitalen Vergangenheit: ”Geschichtsbegehren” revisited. In: Public History Weekly 6 (2018) 21, DOI: dx.doi.org/10.1515/phw-2018-12190. To all our non-English speaking readers we recommend the wonderful automatic DeepL-Translator. I am extremely grateful for the essay by Thomas Sandkühler, for various reasons: First of all, it is a promising sign, that history didactics are beginning to take an interest in video games as an important mass media, where collective memories and collective identities are negotiated and constructed. Video Games are a mass media with an ever increasing reach. The average age of players in Germany is 35,5 years, so we can’t speak any longer of a youth phenomenon. But what is even more important is that Thomas Sandkühler is openly criticizing a century old bias of German speaking academia: to look down on every popular form of historical understanding, i.e. „Populärgeschichte“ and „trivial historical consciousness“. This arrogant walling off of popular culture ignores that even we historians were originally socialized in the same popular culture we now learned to despise. The construction of history in popular culture is an integral part of our collective identities. To ignore it is not only paternalistic but also negligent and outright dangerous. If we decide for example to ignore modern imaginations of World War II in digital games (Cf. Eugen Pfister, “Das Unspielbare spielen – Imaginationen des Holocaust in Digitalen Spielen” in Zeitgeschichte 4 (2016), 250-263), we can naturally not even begin to understand the crumbling of political taboos concerning the NS-Regime as shown by Alexander Gauland recently. This is why it is so important that all historians should take Thomas Sandkühler as an example and keep an open mind for a “trivial historical consciousness”. 1. While it is important for our understanding of history in popular culture to search for some general rules, to better understand its functioning, it is also important to keep in mind that video games are an extremely heterogenic media: From Blockbuster-titles with 100 million $ budgets like Call of Duty: World War 2 to casual games like Bejeweled Blitz. Therefore we have to be careful when speaking of all video games. For instance: While there are certain video games that are effectively targeting human addictive behaviour (in-App-purchases in games like Clash of Clans or – even worse – lootboxes which are essentially a modern form of lottery) there are on the other hand ambitious projects like “Attentat 1942”, telling the story of the German occupation in Czechoslovakia. Instead of repeating that all video games are potentially addictive it would be necessary to work on a functioning legal framework: Belgium and the Netherlands banned for example lootboxes, but it would be important to find a European solution to the problem. 2. It is extremely rare that games enable the players to “permanently change the course of history through decisive interventions — murder and manslaughter — and counterfactually prevent the posthumous from known undesirable developments.” There are games that focus on the procedural aspect of play, giving the players a certain freedom of choice, like for instance the Civilization games. They theoretically enable the players to create counterfactual history. But there are also extremely narrative games like the Assassin’s Creed series – despite its appearance as open world games. In Assassin’s Creed for instance you are free to roam a certain limited area, that much is true, but you have next to no agency concerning the story. Your only option is or to fail or to succeed every mission to reach its end (The same is true for all World War II shooters concerning the single player campaign). I would therefore argue, that no player has the feeling to be a historical actor, that he/she could change history. On the contrary even the background story of Assassin’s Creed emphasises his/her role as a tourist. This is why Adam Chapmans comparison of games and the practice of historical re-enactment is so apt. Those video games are in this sense not so much propagating a post-modern understanding of history but a very authoritative one and enables the players to “replay” it. (Cf. the ongoing debate on historical authenticity in games: https://gespielt.hypotheses.org/1334 and here https://gamingthepast.net/2017/12/26/discussion-what-is-historical-accuracy-in-an-historical-video-game-part-1/) Such authoritative reinterpretations of history can in some cases even lead to political debates as shown by Assassins Creed Unity and its reinterpretation of the French revolution in the tradition of a very critical anglo-american perspective (https://fnzinfo.hypotheses.org/852). But even simulations like Civilization and Europa Universalis are in fact leading the player towards a certain predetermined goal (victory) as envisioned by the program: to dominate the world. The only agency of the player is in fact to choose between different options on how to subjugate your competitors. Or as Thomas Sandkühler wrote: “For it is an open question whether gamers understand the Eurocentric message, so dominant in computer games, that ”the West” always win”. This two “add-ons” should only emphasize the importance of a more through attention to the construction of history in popular culture, as demandend by Thomas Sandkühler. There are fortunately many young researchers focussing on these aspects, from Sian Beavers, Adam Chapman in the UK, Robert Whitaker, John Harney (https://t.co/hp4rMSATpa) and Jeremiah McCall (https://gamingthepast.net) in the US, the work of the UNIL GameLab (https://wp.unil.ch/gamelab/) in Switzerland, the work of the Gamelab Liège to all my colleagues from the “Arbeitskreis Geschichtswissenschaft und Digitale Spiele” (https://gespielt.hypotheses.org/) to only name those few I have the pleasure to know and cooperate with. To all our non-German speaking readers we recommend the wonderful automatic DeepL-Translator. Ein so schöner Beitrag wie dieser ruft vielfache Zustimmung hervor und regt mich dazu an, das Thema weiterzudenken. Wie steht es um das Game als Objekt in Forschung und Unterricht: Welche Art von (Forschungs-)Objekt ist es, mit welchen Tools untersuchen wir es, unter welchen Bedingungen sind Games selbst ein Tool? Vor zwei Jahren untersuchten wir in meiner Lehrveranstaltung zur «Gamification of History (Education)» commercial und educational games. Der Begriff Gamication wird Nick Pelling zugeschrieben und auf das Jahr 2003 datiert. Gamification bezeichnet “a design approach that applies game mechanics to otherwise non-game scenarios” (Behrens, NYT) und sollte zunächst nur unser Konsumverhalten beeinflussen. Die “Serious Games Initiative” (Ben Sawyer) dehnte den Begriff auch auf andere Bereiche aus, unter anderem auf Bildung. Zehn Jahre später versprach der NewMediaConsortium Horizon Report 2014 die “gamification of education” und damit mehr Produktivität und Kreativität bei den Lernenden. Tatsächlich werden immer mehr Inhalte durch Spielen vermittelt, auch Geschichte. a)	Vielleicht sind Spiele tatsächlich das langersehnte Rezept zur Herstellung des chocolate covered broccoli. Dann können sich GeschichtsdidaktikerInnen mit GamedesignerInnen zusammenschliessen und Erkenntnisse der Quellenkritik auf Produktionsseite einbringen, angefangen beim Spieldesign: Ist Geschichte eine knifflige Schatzsuche, ein exotisches Abenteuer, eine strategische Strukturanalyse, ein darwinistisches Reaktionstraining? Wer erzählt die Story? Und wer noch? Wer nicht? Erzählen die Figuren durch ihr Handeln, erzählt eine auktoriale Überfigur, erzählt uns das Setting – die Dinge, die Landschaften, die Töne in ihrem Zusammenspiel? Wo liegt der narrative Lead, wie lässt er sich in die «richtige» Richtung lenken (wer bestimmt die «richtige Richtung»)? Wenn auch klar ist, worin das Ziel besteht, das ludische wie das didaktische, dann fragt sich, mit wem das Game entwickelt werden soll: mit dem lokalen Geschichtsmuseum («Surviving Basel 1610, HMB, Projektstatus), mit einer Forschungseinrichtung (1961, Martin-Luther-Universität Halle-Wittenberg 2015), mit einem kommerziellen Anbieter (Valiant Hearts: The Great War, ubisoft Montpellier 2014)? Die unterschiedlichen Möglichkeiten erzeugen auch aus Sicht der GamerInnen unterschiedliche Grade von Seriosität: Dieses Spiel ist ernst zu nehmen, jenes nicht. Wer die Möglichkeiten kommerzieller Games kennt, lässt sich mit Zeichentrickfiguren nur ungern abspeisen. Anders gesagt: Der Brokkoli ist und bleibt grün. b)	Für GeschichtsdidaktikerInnen ist auch die didaktische Analyse bestehender serious games interessant: Was leisten sie inhaltlich, welche Kompetenzen trainiert eine Schülerin, die 1961 spielt oder Valiant Hearts? Was zeigen, lehren, ermöglichen Geschichtsgames in der Schule? Wie sind sie in Lehr-Lernarrangements einzusetzen und wann? Wie können sprachschwache, wie sprachstarke, wie können spezifisch eingeschränkte oder begabte SchülerInnen auf allen Schulstufen mit Geschichtsgames so lernen, dass der Unterricht als gut wahrgenommen werden kann und nachhaltige Lernprozesse in Gang kommen? Wer reflektiert solche Prozesse mit wem, mit welchen Mitteln? c)	Meine Beobachtung von SpielerInnen zeigt, dass, wenn es um Geschichte geht, aus der Riesenerzählung Game besonders die Details hängen bleiben. Es besteht ein wahrnehmbarer Lernzuwachs aus dem Spielen kommerzieller Games und nicht alles, was GamerInnen aus der stundenlangen Beschäftigung mit dem alten Ägypten, dem mittelalterlichen Böhmen, dem Wilden Westen oder Französischen Revolution ziehen, ist irrelevant, potentiell missverstanden oder kritisch. Kleine Wissensdetails verschaffen den Spielenden mit der Zeit ein Netz, an das sie und an das Geschichtsunterricht guten Mutes anknüpfen kann. Denn die Wirkmacht der Details kennt man aus der Schule auch. Aus diesem Grund liegt eine Aufgabe des Geschichtsunterrichts darin, den Blick der SchülerInnen für die Bedeutung von Fakten, für die übergreifenden Zusammenhänge zu schärfen. Insofern lassen sich auch kommerzielle Games didaktisch nutzen, sowohl als Tool und als Objekt. d)	Vielleicht interessieren uns Games auch eher aus kulturwissenschaftlicher Perspektive als Quellen. Gerade grosse Marken wie Assassin’s Creed, Red Dead Redemption, oder auch kleinere, aufwändige Produktionen wie Kingdom Come Deliverance (Besprechung mit Méline Sieber und Klara Hübner, https://www.srf.ch/radio-srf-virus/games/game-review-kingdom-come-deliverance-einmal-ritter-spielen-anno-1403) bewerben ihren Bezug zu Geschichte und setzen HistorikerInnen bei der Entwicklung ein. Zahlreiche KollegInnen haben sich unter dieser Perspektive mit Games beschäftigt, gerade Assassin’s Creed ist diesbezüglich ganz gut beforscht. Thomas Sandkühler weist auf diese Qualität von Games eindringlich hin. Ihre breite kulturelle Abstützung und Zirkulation qualifiziert sie als Medien historischen Bewusstseins: Die Diskursregeln des Historischen zeigen sich in Games wie in anderen Manifestationen der Geschichtskultur, was sie zu Quellen zur Analysen des Zeitgeists macht. Auch Games sind Gebrauchsgeschichte (Guy Marchal). e)	Allerdings gibt es noch keine etablierte gattungsspezifische quellenkritische Herangehensweise, die die medialen Qualitäten auf befriedigende Weise einbezieht. Dieser Aufgabe stellten wir uns in meiner Lehrveranstaltung und so wurde die Beschäftigung mit Games zu einer anspruchsvollen methodischen Übung – ein weiteres lohnenswertes Feld für den Einsatz von Games und ein Thema für kompetenzorientierte, methodisch interessierte GeschichtsdidaktikerInnen. Games sind spannendes Material für die Geschichtsdidaktik, für public history, für die Geschichtsforschung an sich. Die Frage, ob als Tool oder als Objekt beeinflusst Fragen und Methoden der Auseinandersetzung. « Yet Another Memorial in Berlin?